HAVE A LOOK AT OUR GROUP VIDEO OF THIS TERM HERE. 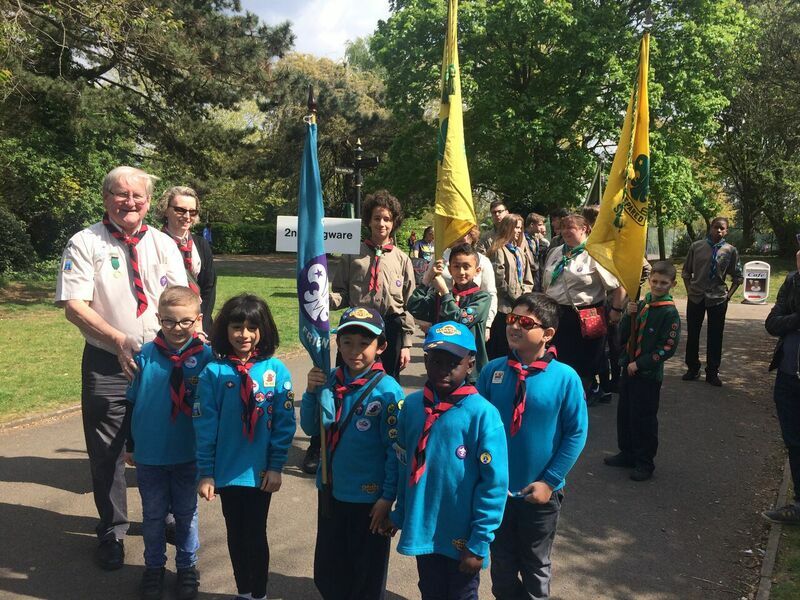 Back in April the Beavers joined the rest of the Group for the annual promise renewal and parade on St. George’s Day. 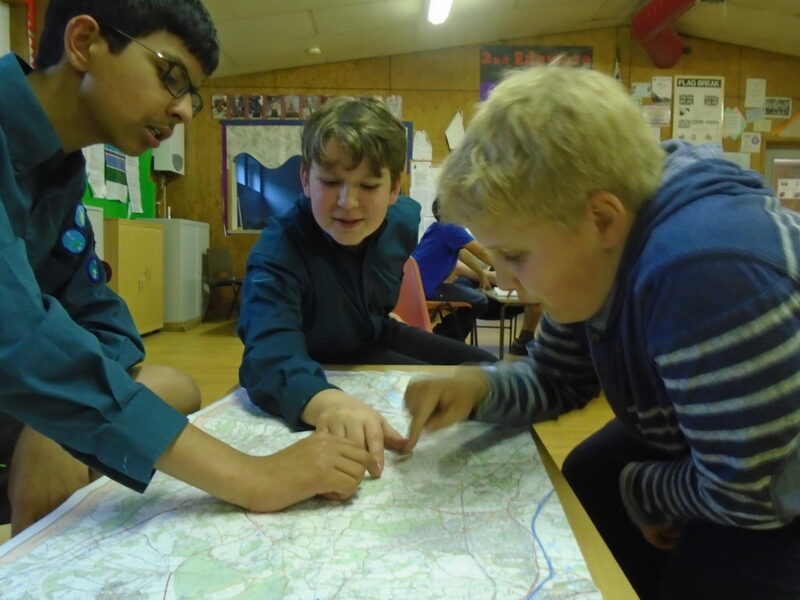 Some of the children also had their first experience of Beaver camp, sleeping in at Frith Grange. 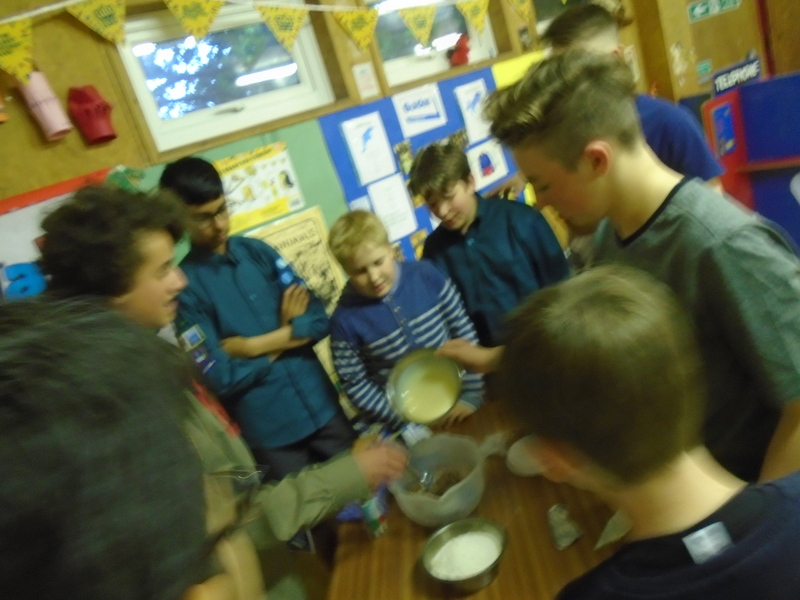 The term has been packed with loads of great activities and it’s great to see a strong turn-out each week. We’ve gone environMENTAL this term, with our eco-project starting in May. 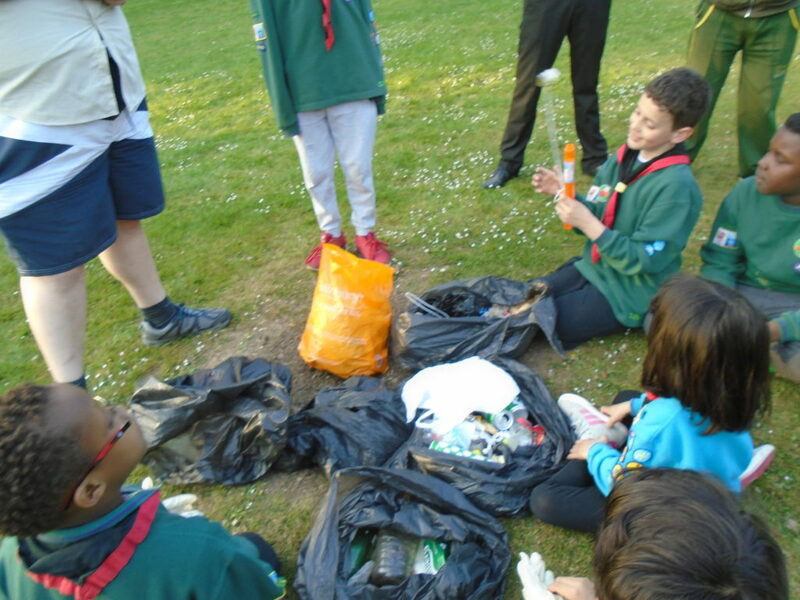 The Cubs learnt a thing or two about our environment before litter picking, through many parks and around Edgware, all with a good attitude and enthusiasm, which was fantastic; as was the result for the community. 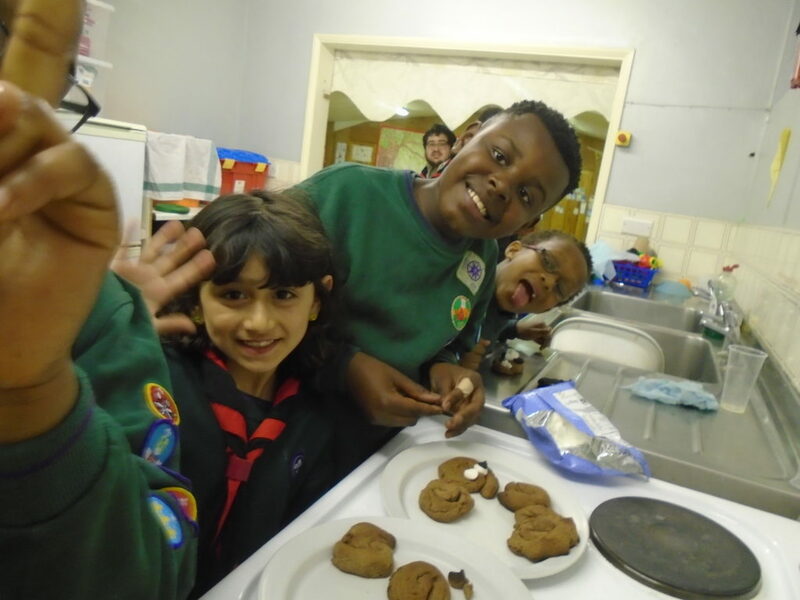 Bagheera ran a spy session, 006 Jamie Bond, back in April, and the Cubs enjoyed making Emoji biscuits – which one? The poo of course! Towards the end of term we’ve seen a great rise in numbers which has been pleasing, and as of September we will have enough boys and girls for three Sixes (but we are still looking for more, so come and join us!). 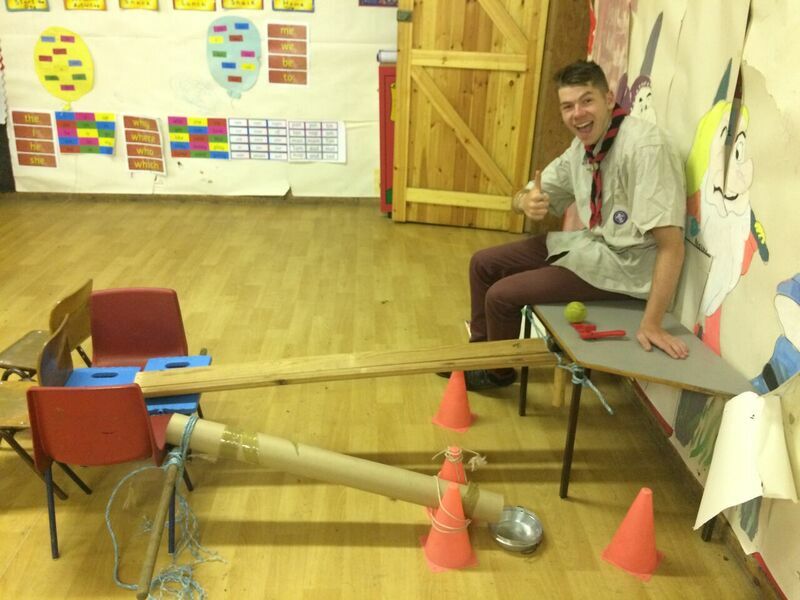 Baloo ran an evening of Scottish culture and a Highland Games tournament, where the Cubs took part in tossing the caber, putting the stone and a ‘Scot or Not’ quiz. 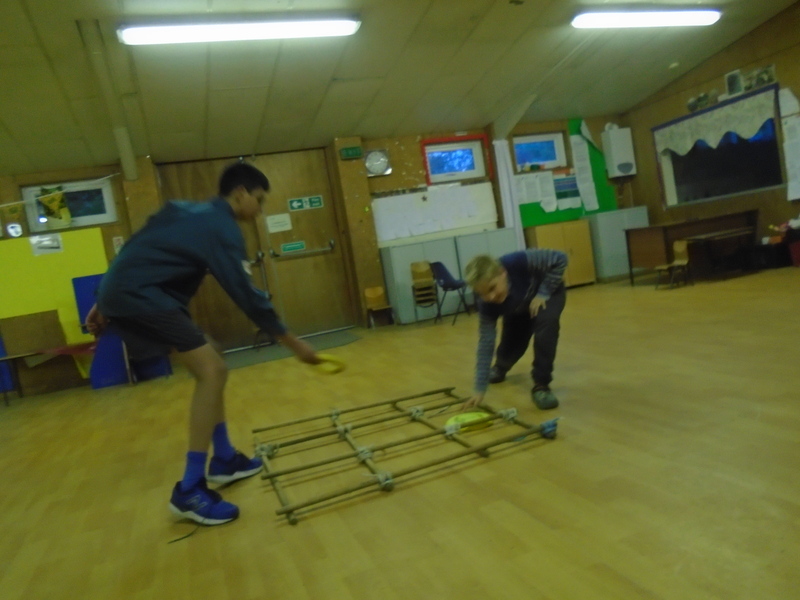 They’ve also decorated our Hut in a creative week, celebrated Wimbledon with a bit of tennis and created their own comedy sketches – funniest of all was Akela’s – er – unique effort. WATCH THESE HERE. Mowgli ran ‘I’m A Cub Scout Get Me Outta Here’ with some weird and wacky challenges including a scavenger hunt balloon relay. We ended the term with a Pack Forum to decide what activities we wanted to do through next term. 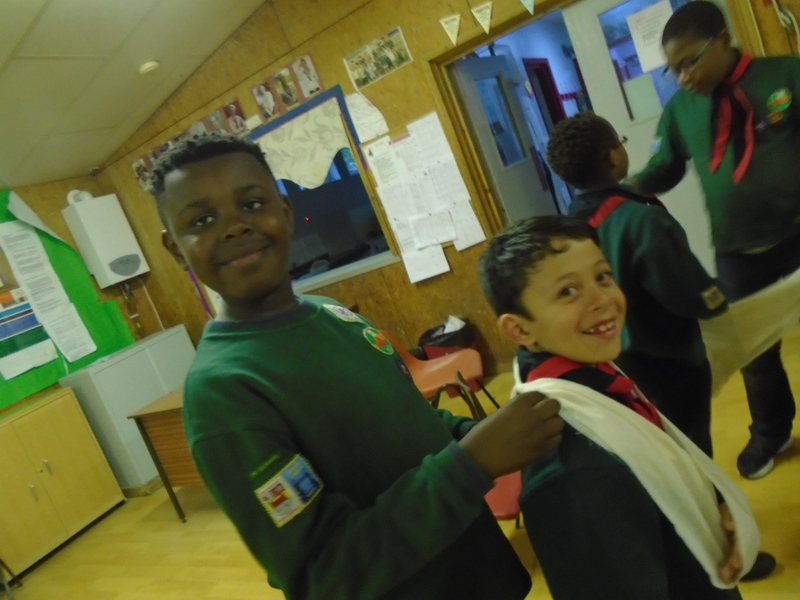 The Cubs also took part in a picture quiz about this term called ‘What’s Going On?’ before finishing with some cool water games and a huge water fight. The fun didn’t end there, though! – As a reward for a great increase in numbers, Akela treated us to a free rock climbing session at Frith Grange, with the super cool 3-D traverse wall! 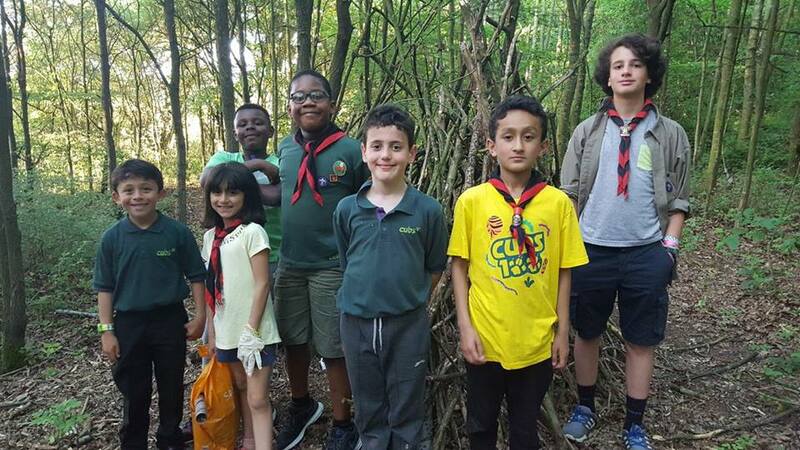 Our Cubs and the 1st Finchley had a super time on our Group camp alongside the Scouts, playing games, singing songs around the fire and even hiking! Although the Pack has broken up for the summer holidays, we have plenty planned for the 6-weeks off. In the holidays we will be off swimming, playing crazy golf and having fun playing some wide games and other activities in the park. 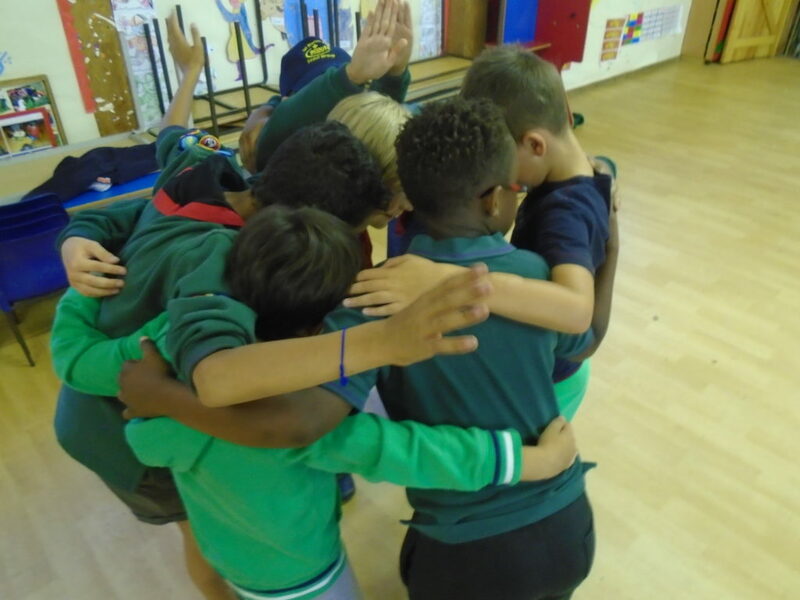 A fantastic term for the Cubs, and it’s only going to get better…! 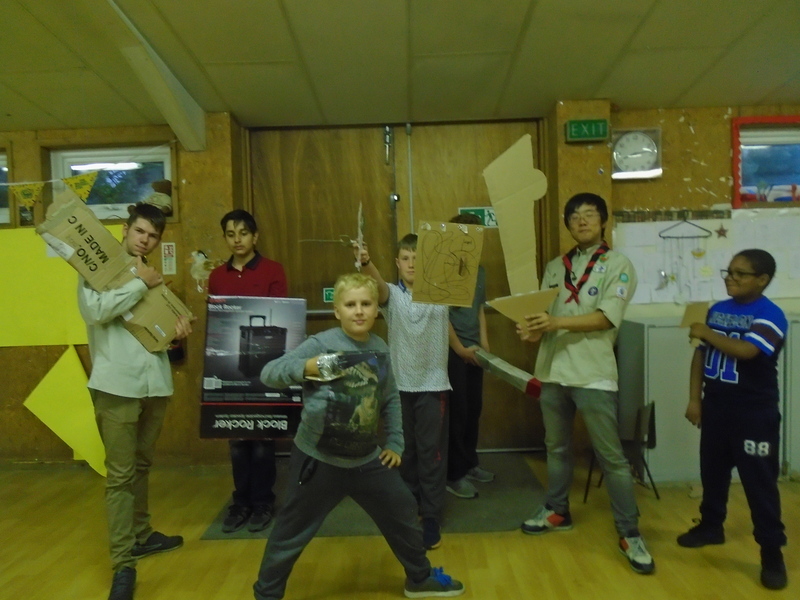 The boys have been busy this term, starting back when we prepared them for their own May Day Scout display, in which they created a band using anything they could find at the Hut, before performing the National Anthem and then waking the neighbourhood with an odd song about curry – music to our ears! Along with plenty of games and some map work, they took part in an Apprentice-styled challenge and baked some Emoji poo biscuits. 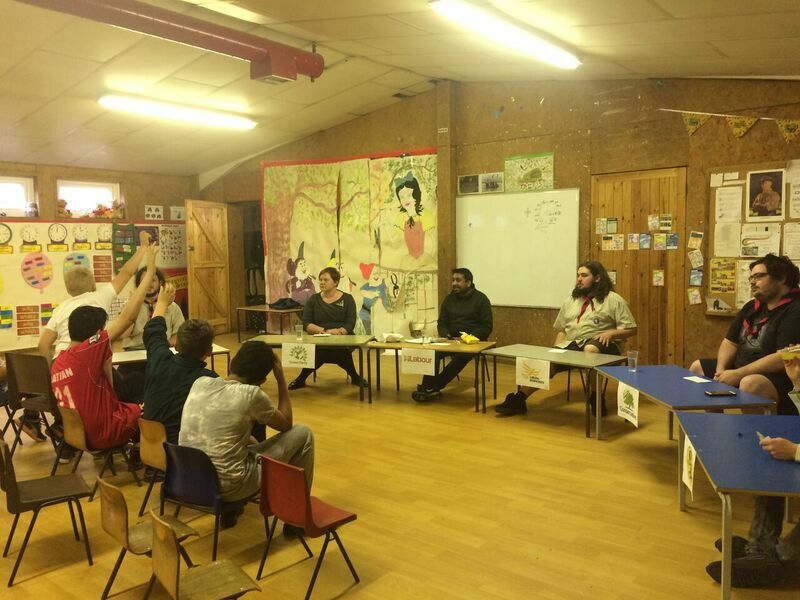 After the half term we had an insight into the general election, with guest speakers representing parties to try to earn the Scouts’ votes. The week after we pulled out the old wagon and headed to the park to put up some tents, all in preparation for summer camp. 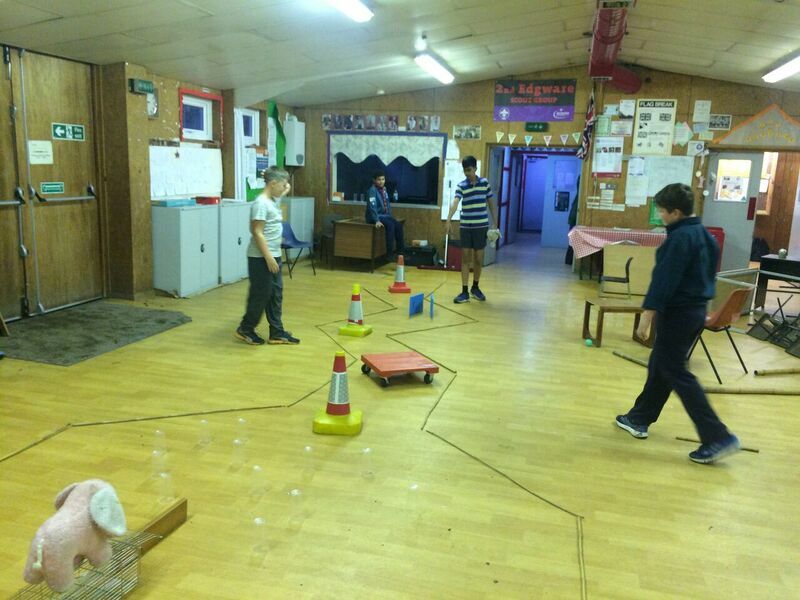 Joshua ran a Scottish Highland games evening, similar to the Cubs’ but the boys got the chance to make their own home-made golf courses before testing them out, with some fantastic efforts. 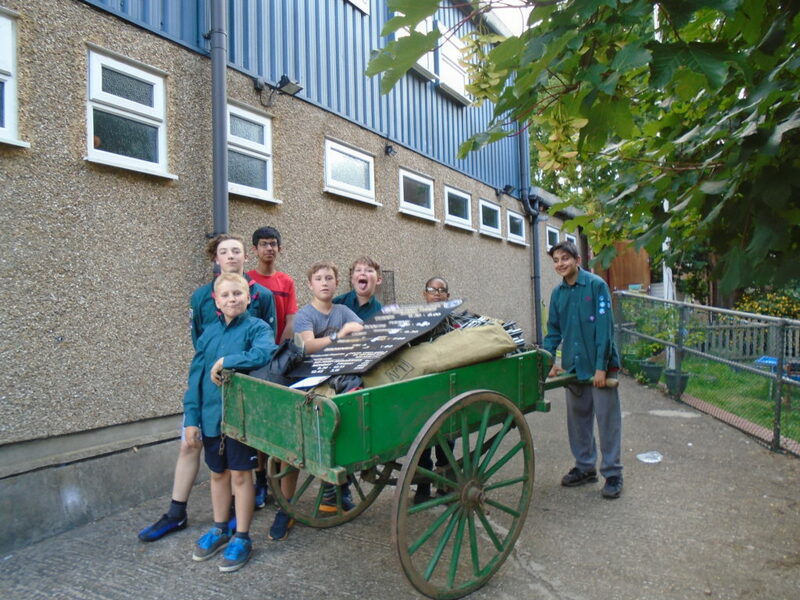 One of the highlights was our Group camp which took place at Phasels Wood for a week. Have a read of the event here [soon]. We also have a D.I.Y day planned to fix up the Hut during the holidays. Finally, a big welcome to our new Quartermaster, Mike, who has already took to the job incredibly and we give our thanks for all his help now and in the future. 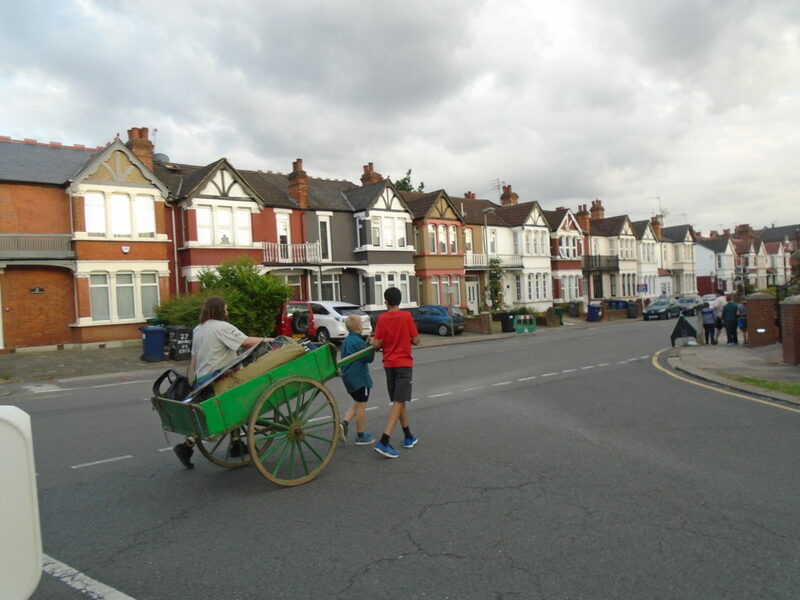 We are now half way through the year and are determined to keep up the adventure at 2nd Edgware. There are plans for two Pack Holidays, one cycling-themed and one photography-themed in the Autumn at Frith Grange for Cubs. 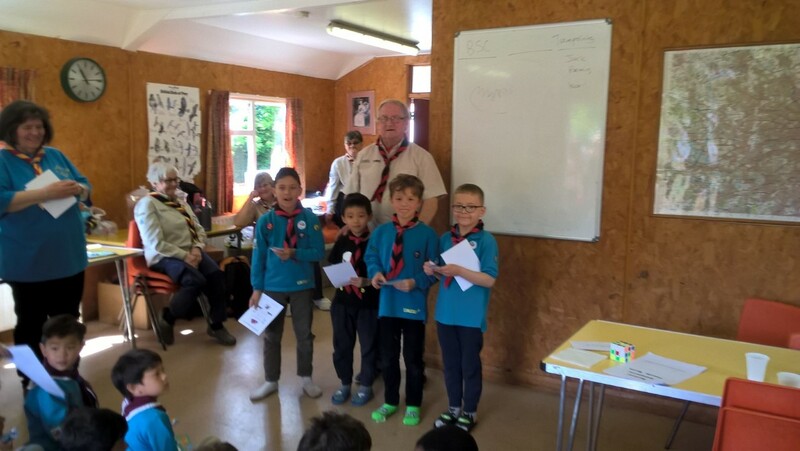 The one thing that would make next term even better is an increase in numbers at Cubs and especially Scouts. If you do know anyone, please bring them along; there is more information around our website. Thanks for reading, have a great summer break and I’ll report back at the end of the year.